If you’ve been putting off getting your flu shot, chances are you have concerns, like any potential side effects you might experience after leaving the doctor’s office. 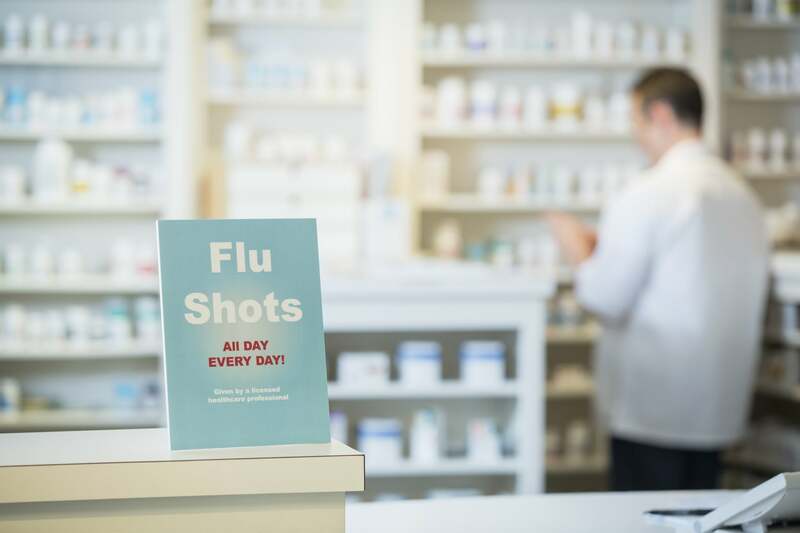 Like other medicines, the flu vaccine can have side effects, but most of them are mild and not worth forgoing the shot altogether – especially as we brace for what’s likely to be a brutal flu season. According to Carolyn Kaloostian, MD, MPH, a clinical assistant professor of family medicine at the University of Southern California Keck School of Medicine, those potential side effects include soreness, redness, and swelling from the vaccine. "Some people occasionally report headache, low-grade fever, nausea, and muscle aches as well," she told POPSUGAR. "As with any vaccination, allergic reactions can occur and can be life-threatening, but effective treatments are available." The flu vaccine contains a small amount of egg protein, so if you’re allergic to eggs, you should discuss the vaccine with your doctor. Fortunately, Phil Johnson, MD, a professor of general internal medicine at McGovern Medical School at the University of Texas Health Science Center at Houston, explained to POPSUGAR that this type of reaction is rare. Also rare is a condition called Guillain-Barre syndrome, in which the immune system attacks the nerves. "It occurs in one to two cases per one million doses," said Michael Ison, MD, a professor of infectious diseases at Northwestern University Feinberg School of Medicine and a practicing physician at Northwestern Medicine. In other words, it’s much more likely you’ll simply protect yourself and your family by getting vaccinated. If you can’t afford to deal with the milder symptoms, like pain and swelling, Dr. Johnson suggests asking for the vaccine in nasal spray form.